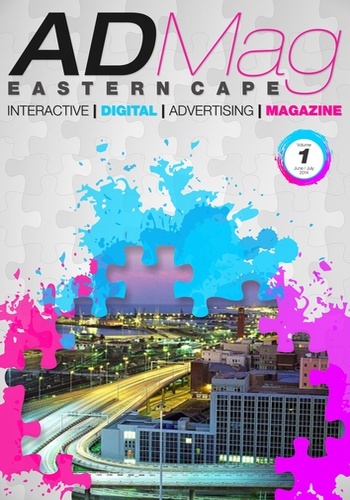 Eastern Cape Admag - Your Eastern Cape Interactive Digital Magazine. A unique monthly publication about Lifestyle, Entertainment, Fashion & Style, Art, Real Estate, Automotive, Home, Women, Men, News, Science & Tech, Sports, Travel & Tourism. As a Local & Regional publication it is our focus to cover as many categories as possible. We believe you will enjoy our current and future publications and see how we grow within this Digital Age.